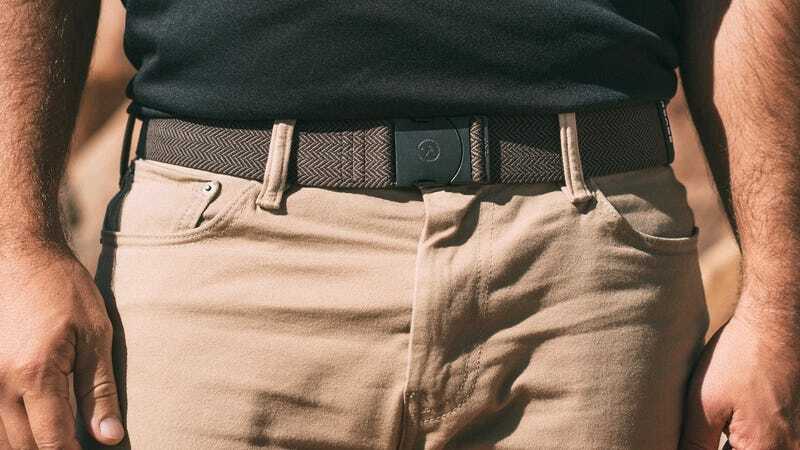 Let’s face it: belts are pretty damn important. They’re not just an easy way to score a couple of style points. They keep our pants up, a huge responsibility when on the move. Arcade Belt’s line of Adventure Belts (from $21) fit the bill completely. Save 25% off select styles. These belts are built with high-tensile strength fabric and an industrial strength acetal polymer buckle. Wear them while scrambling up steep peaks and glide through airport security with the metal-free construction. We’ve even strapped one to our bike as a gear tie. For those who want to travel in absolute comfort, we can’t recommend Arcade Belt enough. The brand has taken a menswear accessory and made it an activewear essential. Grab yours today.